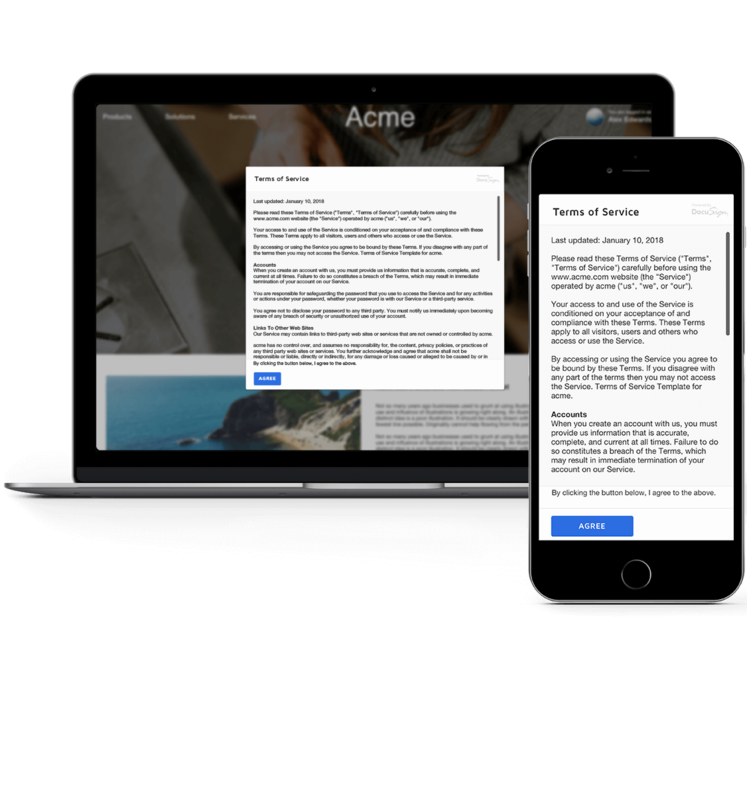 Document and manage consent to clickwrap agreements—such as T&Cs, privacy policies and disclosures—while reducing expense, minimizing legal risk, and improving customer experience. With Docusign Click, you can capture consent with a single click. Customize display and acceptance options to meet your requirements. Other use cases include account sign-ups and openings, software licenses and downloads, product trials, checkout pages, and registration pages. 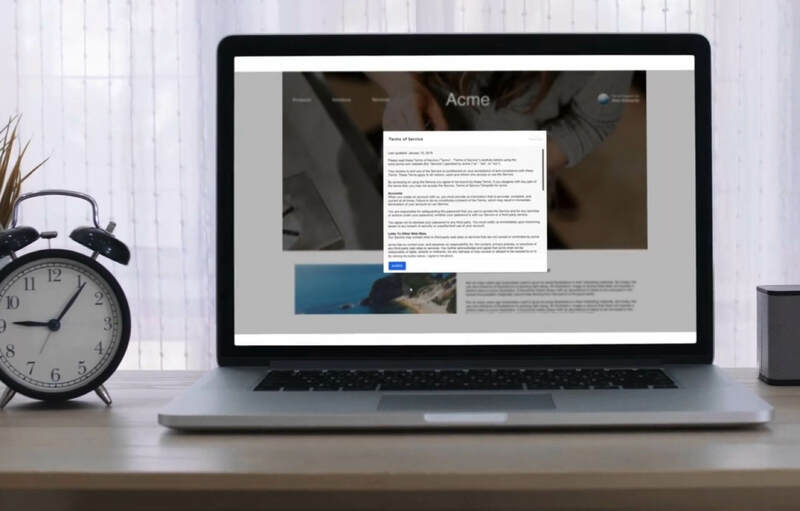 Click is designed for embedding high-volume, standardized clickwrap agreements (e.g., terms of service, T&Cs, privacy policies) into your website, portal, or apps. Your users will be prompted to agree or decline in order to continue. The signer provides no other information as part of the agreement, and there’s no way to add other signers or special routing.